ASUS ZenBook 3 | Nerd Much? It’s tough to find a super thin laptop that also looks great AND features beastly specs; after all, the reason most “slim” laptops are able to be slim is because they don’t feature the powerful, more heat-producing CPUs and GPUs. But the ASUS ZenBook 3 does things differently, bringing the power, the look, and the thinness together in the best all-around package we’ve seen yet. 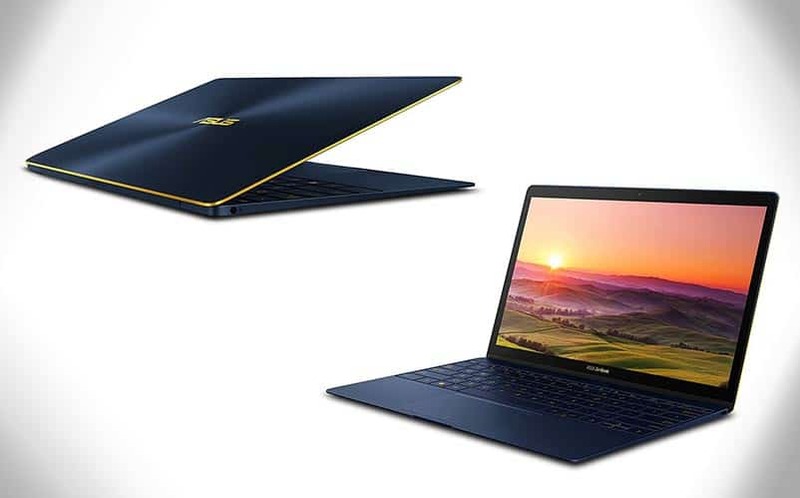 The new ZenBook 3 features the latest 7th-generation Intel Core i7-7500U processor, 16GB RAM, 512GB PCIe SSD (which is 3X faster than Sata3 SSD), 802.11ac Wi-Fi, Bluetooth 4.0, a USB 3.1 Type C port, and a 1.2MP webcam. It has fast charging capabilities, charging to 60% in just 49 minutes, with a full battery lasting up to 9 hours. But what makes it most interesting is that even with all of that power, it won’t overheat, thanks to the ZenBook 3’s cooling system, which uses top-notch components like a liquid-crystal-polymer fan, and a copper-alloy heat pipe that’s just 0.1mm thick. The ZenBook 3 also has a fingerprint sensor and a full-size, backlit keyboard that has just a 2.1mm bezel on each side. As far as audio capabilities are concerned, it uses ASUS SonicMaster audio technology that spews out of four separate high-quality features. The ZenBook 3 is incredibly light and has an elegant look, and when you pair those two facts with its powerful specs, you’ve got yourself one mean, lean, computer machine. It’s available for $1,545.99 on Amazon, and there’s an i5 edition that comes in at $1,099. Buy the ZenBook 3 here. For more cool nerdy stuff to buy, stay tuned to Nerd Much?